"I think it's pretty evident that I like to draw people," laughs Taarika John. 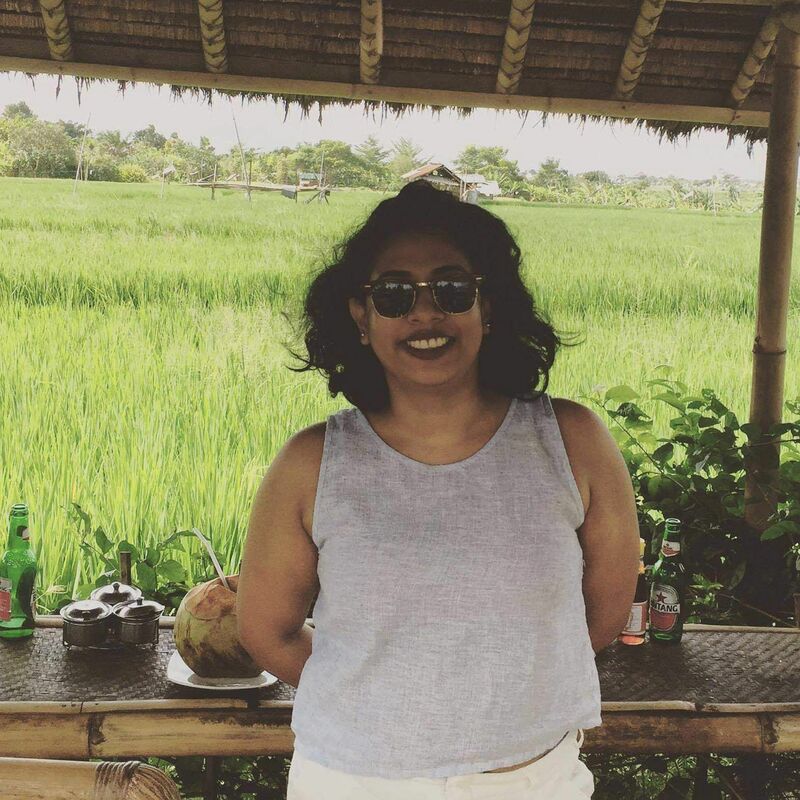 Yes, to anyone who is familiar with her work, the thought of Taarika's work evokes brightly shaded uncles in loosely folded mundus and sari-clad women making their way home clutching shopping bags. "I like capturing ordinary people," she says. "I draw people that I see around me when I'm travelling. This is what usually ends up catching my attention more than any other thing. So I think my whole process basically becomes like a visual genre of thought. It's basically a documentation of what I'm seeing and what I'm thinking." Taarika has been drawing since she was just a wide-eyed and dreamy child growing up in Kochi. She did her education in Srishti School of Art Design and Technology, Bengaluru where she specialised in Visual Communication. Following this, she worked briefly in the advertising industry and for a few magazines. Later, when she realised that illustration was truly her calling and what she wanted to focus on, she decided to work as a freelancer. Today, she works completely independently and creates commissioned work for a growing fanbase. "My work is heavily observation-based," says Taarika. "Usually, when I'm out and about, I keep a journal with me. I draw people and things when I see them. I usually end up drawing whatever I see. I note down whatever I want to remember through some way or the other. This is sort of a process that I have developed over many years. So a lot of my work is based on observations from different experiences in my life." It was while she was doing an internship as a student that she was first inspired to draw inspiration from places around her. She explains, "I had started this series called the 'Malayali Alphabet'. It sort of started because I'd started drawing those familiar figures that I had seen in and around Kochi. When I interned in Mumbai, I started putting these together." 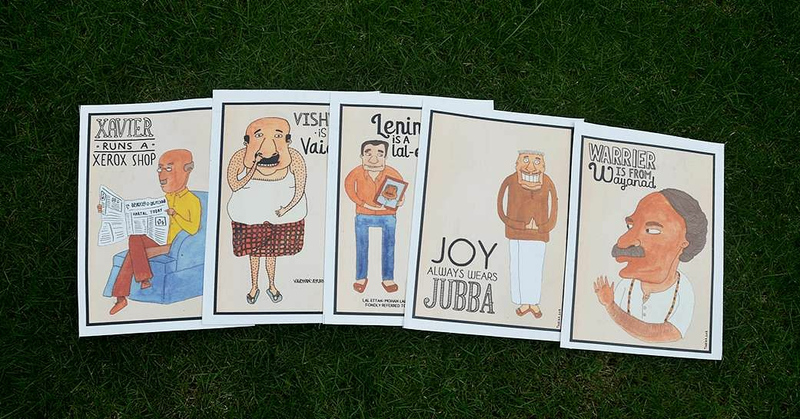 The series features 26 posters and one character for each letter of the alphabet. It started gaining attention when Taarika showed her work to her friends and family and they gave her the idea to develop it into a serious art project and expand it. "It all started as a casual observation," she emphasises. "I didn't really start it with the intention of creating something big. I was just in college, I hadn't really thought about this aspect of art in that much detail. It was my first real step into this side of things. So once I had this idea, I thought of researching more because I was looking for more characters. So because of all this, I wanted to explore Malayali characters these lines describing each of them. Following this, I ended up doing a lot more on-the-ground work. I also spoke to other people from these areas and gathered their feedback. I learnt a lot of new things about Malayali culture through this project." The work won Taarika her first big audience response. "We didn't have a lot of social media activity at the time, so this was everything to me because a lot of people wrote to me and connected to the work and it made them feel nostalgic," she says. "I think that really helped me realise how important this work was for me. It opened my eyes to the fact that there was so much material right in front of me and that I don't have to go looking for it anywhere else. Today, what I focus on is simply looking inward and around me for inspiration. I let the art happen to me."